There is something about Anemone that begs to be captured in an image. 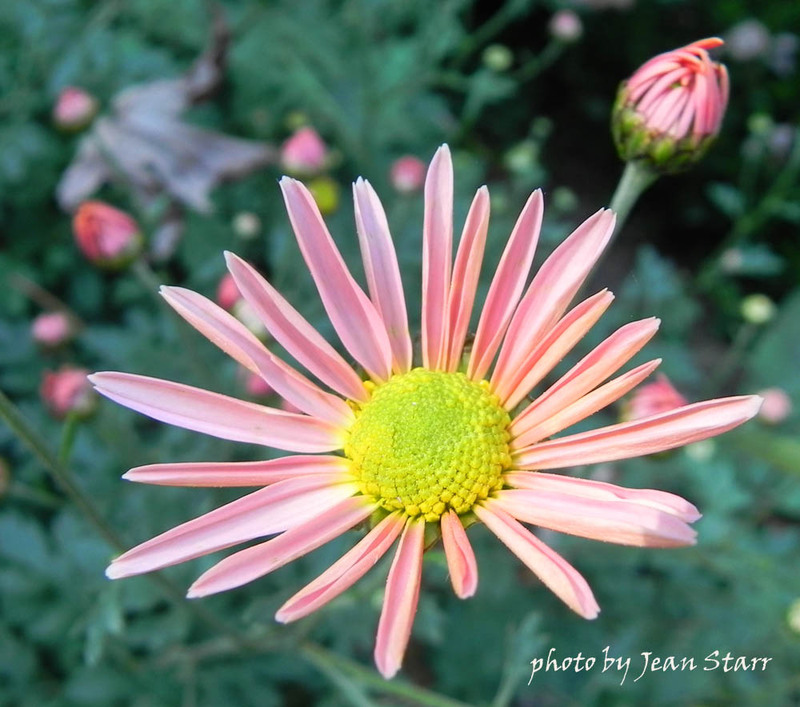 Maybe it's the simplicity of its daisy-like shape or its cute button center. Whatever the case, I've snapped their photos each year since I became a gardener. 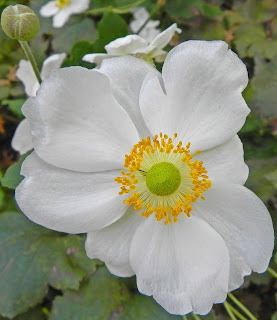 Someone I know called Anemone japonica invasive. If I had hackles, they'd rise in protest each time I heard a declaration like this. The "I" word shouldn't be used so lightly. Kudzu is invasive. So is Hedera helix. Anemone japonica is able to hold its own if combined with other assertive plants like Amsonia hubrichtii, named Perennial Plant of the Year in 2011. And the partnership couldn't be more pleasing, the Amsonia's foliage turning a striking gold in fall and providing the prime example of accessorizing when grown near fall Anemone. 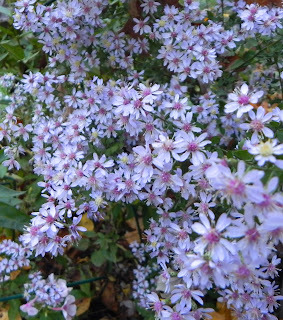 A little more tricky to find partners for, but no less welcome in the late fall garden is Dendranthema 'Sheffield Pink'. The color portion of the moniker is not quite correct, however, as the flowers open in shades of pinkish-apricot. 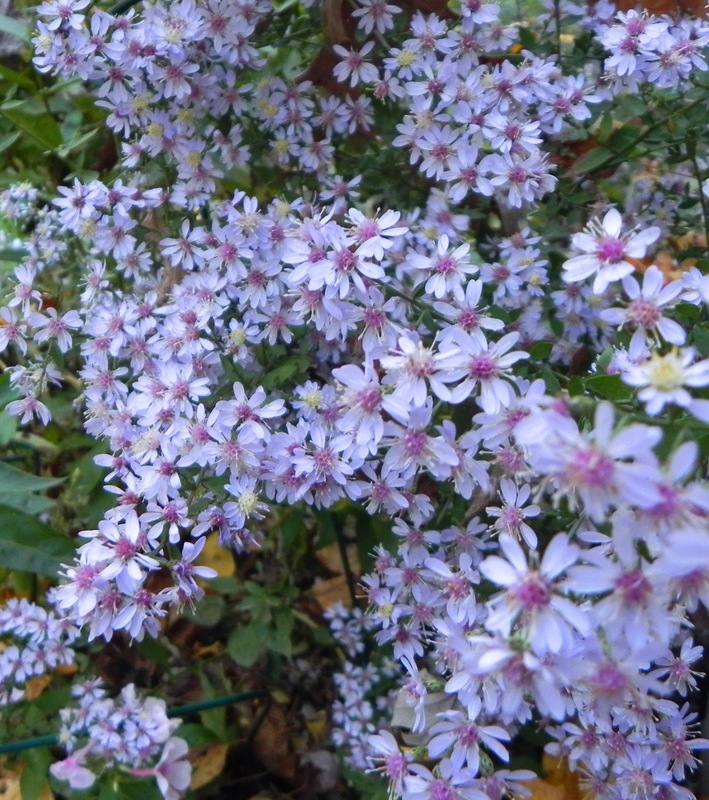 Still, it's gorgeous with the small-flowered asters like 'Little Carlow', a hybrid between cultivars of Aster cordifolius and Aster novi-belgii. I've been growing 'Little Carlow' for several years, and I fall in love with it each time it blooms. It's hard to find the small-flowered asters at local garden centers. It's probably because it doesn't look as tidy as the ubiquitous potted mums, isn't pretty in a pot, and doesn't call out for the consumer's attention in the spring when it should be planted in the garden. Nonetheless, it's certainly worth seeking out, because those in the know know to grow 'Little Carlow'. 'Little Carlow' is sensational. It would certainly be an asset to any garden. Love the simplicity of both the Dendranthema and that stunning white Anemone. Simply beautiful.